A chance meeting between Avinash Vyas, a married man and Sangeet Mishra, a young divorced woman turns into something more than what they had ever wanted or asked for. Both part ways, nurturing a dislike for the other in their hearts. They meet again under different circumstances. Their prejudices keep them away until both learn that they had committed similar offences in the past that had not been fully dealt with. It was a past they wanted to avoid. What was their offence? Why do people marry? What is the relevance of the institution of marriage in modern times? 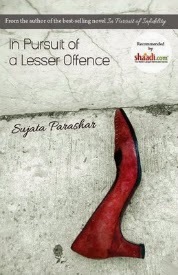 Bestselling novelist Sujata Parashar's third novel attempts to answer these questions and more as she takes you through the intricacies of modern day relationships.